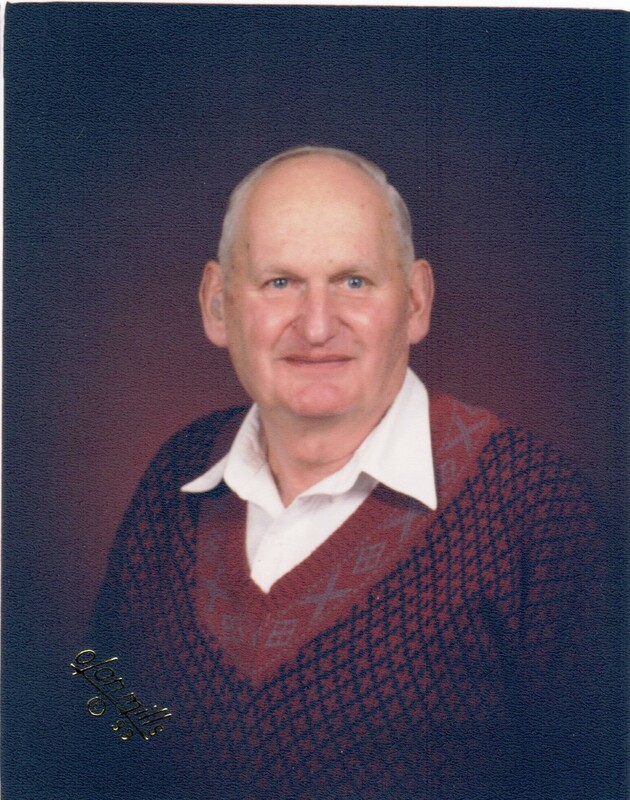 Delmer Dale Capelle, age 95, passed away peacefully on Friday, March 15, 2019 at The Neighbors of Dunn County in Menomonie, WI. Delmer was born December 15, 1923 in Loyal, WI. to Philip and Martha (Blado) Capelle. He attended Dodgeville country school and graduated from Loyal High School in 1941, after which he farmed with his father. In 1948, he was employed at the Kohler Company in Kohler, Wisconsin. During this time he met Violet Pagelow and their marriage of 67 years took place November 6th, 1948. Del and Vi farmed at the home farm northeast of Loyal until he retired in 2003 at the age of 80. Delmer dairy farmed for 50 years and had a flock of sheep for more than 60 years. In 1985 he was awarded the State Master Shepherd Award. He was a member of Mid-Wisconsin Sheep producers, was a board member of the Stratford Lamb Pool and for many years served as a 4-H Sheep Project leader. He was a lifelong member of Trinity Lutheran Church in Loyal where he served on church council, played dartball and was a member of Trinity Adult Fellowship. He also enjoyed being a part of the Loyal Circle 8 Square Dance Club, the FFA Alumni, and German Club for many years. The land and traditional farm life was priceless for Del. Family gatherings at the farm were always special to him. He often took time for his children with swimming trips to Rock Dam and root beer stand visits after chores were done for the day. In winter the family would enjoy tobogganing at Perkinstown. In the summer of 1965 he took the family on a month long trip to California with stops along the way at many national parks. Del enjoyed watching his sons play basketball during their high school years, and also enjoyed gardening and traveling during his retirement years; especially to Key West, Florida and Virginia. Delmer is survived by children: Larry (Nancy Michaelsen) of King George, VA. Deborah (Doug) Hyde, of Menomonie, WI. and Linda (Bill) Snell, of Key West, FL; 6 grandchildren: Dalynn Capelle-Cato, Aaron and Ben Hyde, Chelsy O’Connell, Kayla Snell and Jesse Vogel; 3 great-grandchildren; two sisters-in-law; nieces, nephews and special family friends Tom Kahn and Linda Treglowne. He was preceded in death by his parents, his wife Violet, his son David, two sisters: Dorothy Herdrich and Ada Campbell and his brother: Calvin Capelle. A special thanks to the staff at The Aster Assisted Living in Marshfield and The Neighbors of Dunn County who took such good care of Delmer the last years of his life. In lieu of flowers, memorials may be made to Trinity Lutheran Church in Loyal, The Heifer Project International or the Activities Fund at The Neighbors of Dunn County, in Menomonie. A Memorial service will be held at Trinity Lutheran Church, in Loyal, on Saturday, June 8, 2019 at 11:00am with Rev. Daniel Zimmerman officiating. Inurnment will follow in the Loyal Lutheran Cemetery. Visitation will be held on Saturday, June 8, 2019 from 10:00am until time of service.